A Bachelor of Arts lets you dive into higher learning with flexibility and freedom. We support your interests in the broad and vital study of history, society, culture and creativity. 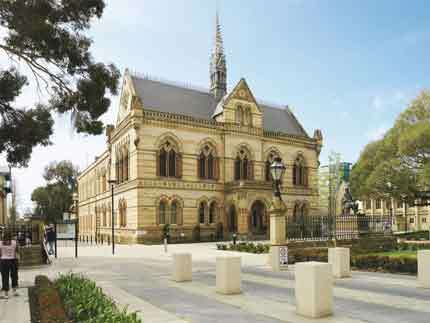 The University of Adelaide is highest ranked for Arts in South Australia. From Classics to Criminology, Gender Studies to Geography—you can choose from the greatest number of study areas in the state. 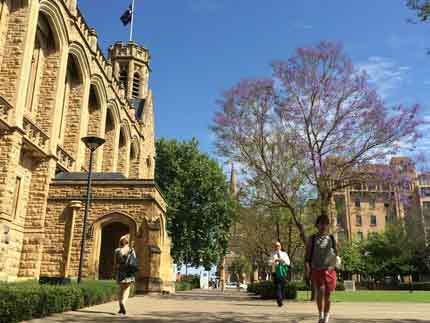 gain international experience through optional exchanges or study tours. *These majors cannot be taken as a first major. Our graduates have great versatility in shaping their careers and follow highly successful paths in different areas: advertising, administration, business, community engagement, corporate communication, defence, diplomatic service, environmental management and planning, foreign affairs, humanitarian work, human resources, industry liaison, management, marketing, media, policy development, project management, psychology, public relations, publishing, research, social planning, youth work, academia and teaching. In addition to renowned excellence in teaching and research, the Faculty of Arts provides mentoring support and careers advice with employment forums and talks by key industry partners and organisations each year. If you maintain a high GPA, you will have the opportunity take part in an internship in your third year with an organisation from within the arts, media, parliament or environment. 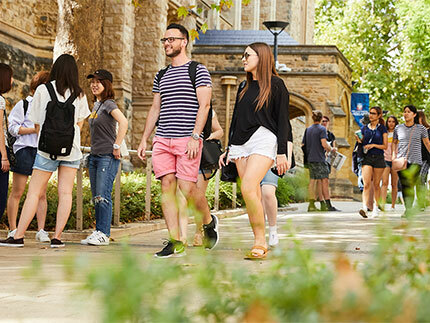 These include State Parliament and a range of public and business sector agencies, where you can use the knowledge from your university study in a practical work environment, building valuable networks and gaining experience that counts towards your degree program and prepares you for your future career. It is recommended that you take any global study in year 2 of your degree. If you are studying a language (at beginners’ level) as a major or minor, it is recommended you take your global study in year 3 of your degree. Contact arts@adelaide.edu.au to receive further information and advice. During your degree you can specialise in at least one major and one minor from a large list of areas of study. Students are also able to take elective courses in other areas of study from within the Faculty of Arts or from other Faculty areas within the University, such as Health Sciences or Commerce. The BA offers the opportunity to learn one (or more) of eight languages, irrespective of a student's previous language study. Students who wish to further their cultural skills and broaden their experiences can choose to study overseas for one or two semesters with one of more than 100 partner institutions around the world. Alternatively, students may wish to study one or more of a variety of short Study Abroad courses. BA students with a suitable grade point average are also able to take part in an internship in which they gain valuable work experience relevant to their career goals, build networks, and manage a research project for an industry partner in the media, environment, parliament or the arts. Other benefits of studying the degree include regular career and employment forums and mentoring programs that run throughout the year. *These majors must be taken in addition to a first Faculty of Arts major chosen from those listed above. 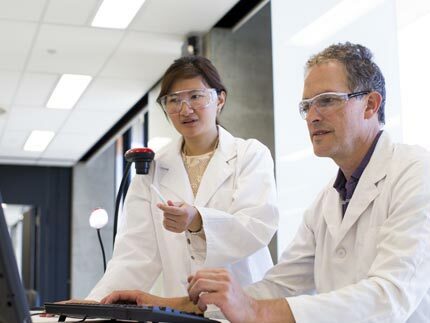 Students with a strong interest in more than one area can apply for a double degree which can usually be completed in four years. Most of our degrees can be teamed with Law. Another way to combine degrees is through concurrent study – enrol the first degree, and then apply for the second degree at the end of semester one or first year. Find out how to transfer from one degree to another, or how to apply for a second degree, at Internal Transfers. Discuss your enrolment with the Faculty of Arts to help select the right courses to enrol in. Studying for a degree within the Faculty of Arts means you can choose to study a language as part of your degree. Alternatively, any student enrolled in an undergraduate program at the university can elect to study a language through the Diploma in Languages. Start as a complete beginner or with more advanced knowledge and choose from Chinese Studies, French Studies, German Studies, Indonesian Studies, Italian Studies, Japanese Studies, Modern Greek Studies or Spanish Studies. The Diploma in Languages will extend study for one year to fit the language sequence, and you will graduate with parchments in both your program and the Diploma in Languages. You will leave university with language expertise, communication skills and greater cultural insight. *The Diploma in Languages is not available to international students. Street artist behind globally renowned 'Real Australian's Say Welcome' project.